Investors in gold need to be aware that the government of the United States has been lying to the world for years. 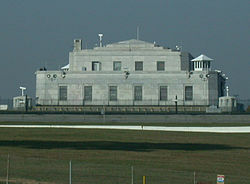 The national vaults of Fort Knox hold minimum reserves of gold or they are virtually empty. It is the only logical explanation to the nonsensical attitude being displayed by the United States Treasury and the Federal Reserve Bank. There has been no federal or outside audit of the gold reserves being held in Fort Knox since 1953. President Eisenhower was newly installed in the White House at that time. 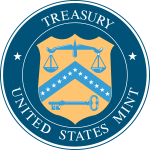 Given the recent controversy surrounding gold reserves at the Federal Reserve Bank in New York one would think that an audit would be in order. The government of the United States insists this is not possible because it would cost $15 million USD (United States Dollars). When you consider the size of the national budget (now approaching $4 trillion USD) and the amount of waste that occurs daily at the federal level the present position of government officials is laughable. Many investors already surmise that if an audit did actually occur, it would mimic what happened at the Federal Reserve Bank in New York. The fiction there ended when the German government made the decision to repatriate a portion of their gold in 2012. 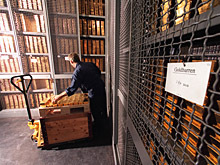 Total German reserves stand at 3,387 tons making the country the second largest official holder of gold in the world. Germany had allowed the United States Federal Reserve to hold a total of 1,500 tons of gold for them. The decision to outsource German gold, had made sense during the years of the Cold War. It guaranteed that the gold assets of the Germans, would be out of the reach of the former Soviet Union. The Germans decided to withdraw a total of 300 tons from the United States. It would reduce the amount held by the Americans to 1,200 tons. Total German holdings of gold in the United States would be reduced from 45% to 37%. Germany had decided to increase the amount of gold reserves held by their own banking system from 1/3 to ½ of the total. In addition, Germany had already decided to withdraw the 374 tons of gold (11%) of the total from France. The reserves held in the United Kingdom, (445 tons 13% of the their total amount of gold) was to remain in London. The Germans had previously withdrawn 940 tons from the British in the years 2000 and 2001. The explanation for this retrieval at the time was that unlike the Americans and French, the British actually charged Germany for the storage of gold deposited there. By the end of 2013 the Germans had only received 32 tons of gold from France and a mere 5 tons from the United States. 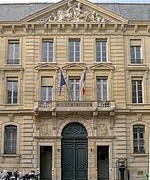 At this rate it would take until 2024 to repatriate gold held in Paris France, and 60 years before the planned 20% withdrawal from the United States would be accomplished. Worse yet, the gold arriving from the Federal Reserve Bank in New York would need to be recast in Europe as the quality did not meet market standards. This amounts to outrageous behavior on the part of the United States. It is also a result of total dishonesty on the part of the Federal Reserve Bank of the United States. If German gold was returned in its original condition there would be no need for recasting. The German Central Bank (Bundesbank) insists that the Federal Reserve will pay compensation for the recasting and the discrepancy in the weight of the bars returned. 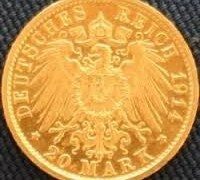 The Germans had announced that the deliveries of gold from abroad would be accomplished over a 7 year period. Why the delay? The reason became quite obvious. German gold was no longer there. The last official audit had taken place in 1979. If it was still there, the Bundesbank officials who arrived in New York to view German reserves would not of been rebuffed. To avoid an international outcry, an audit was conducted by the United States Treasury in 2012 of the Federal Reserve Bank in New York. The Bank was supposed to contain not only 1,500 metric tons from Germany, but the deposits of other Central Banks from various countries. The total that was purported to be there was close to 7,000 metric tons. This would equal over 500,000 gold bars. Each of the bars would weigh 400 troy ounces, or about 12.44kg. Each bar would sell for $520,000 USD. The total value of this cache would be worth an estimated $275 billion USD at today’s prices . Of this amount 98% was owed to central bankers from around the world. What was the actual gold holdings of the bank? A mere 419 metric tons. The next question would be where is the remaining 6,581 metric tons? The list of Central Bankers that want to travel and meet with bank officials in New York include Italy, the Netherlands, and a number of other countries. There are 122 separate gold accounts with the bank, including a few organizations like the International Monetary Fund (IMF). That would mean there are over 100 countries that have gold on deposit at the bank. One can only imagine the concern of these foreign bankers, which will for the most part not be publicly expressed. What is increasingly clear is that if the Federal Reserve of the United States was willing to obfuscate and lie about actual gold holdings in New York, what else are the Americans not telling the truth about? Increasingly investors in gold, other precious metals, and national currencies are becoming apprehensive about the actual fold reserves of the United States that are supposed to be stored in the vaults of Fort Knox. How much gold is there? 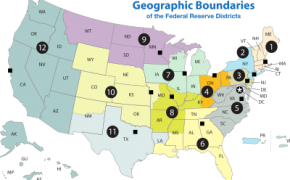 Well the United States is acknowledged to have 8,133.5 tons of which the United States Bullion Depository at Fort Knox holds about 4,603 tons (4,176 metric tons) of gold bullion. This would equal 147.399 million troy ounces. 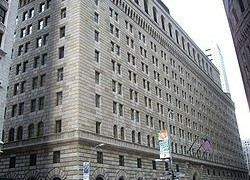 The rest is deposited mostly at the same Reserve Bank of New York that has misplaced some 6,500 plus tons of gold. It is important to note that at one time the United States could prove reserves of 20,663 tons. The year this was reported was in 1952. It represented half of the gold that had ever been mined in the history of the world. By 1968 these national reserves had fallen below 10,000 tons. What had happened to all this gold? It was sold off as foreign nations had the right to exchange dollars into gold as agreed to at Bretton Woods in 1944. This was the reason why the American President Nixon took the United States off the gold standard in 1971. By 1972 holdings of gold by the United States government had dropped to 8,500 tons which was a drop of almost 60% in 20 years. Since the late 1970’s the United States government has claimed that it owns 8,133 tons of gold. This number has remained constant for more than 3 decades. So according to the Federal Reserve and Treasury officials of the United States no gold has been bought or sold during this period. This cannot be possible. According to the American government’s own reports (the FT-900 documents) the United States has been exporting massive amounts of gold during the past 20 years. 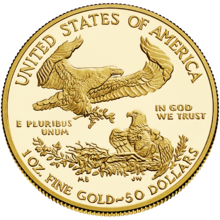 In 2012 for example, the United States exported about 217 tons of gold. That equates at 2012 prices to about $12.8 billion USD. This figure is the calculation based on exports worth $24 billion USD and imports of $11.2 billion USD. In 2013 exports of gold from the United States were in excess of $26 billion USD and imports were less then $11billion USD. The total shortfall was worth a total of $15.3 billion USD. This is close to 300 tons of gold. Since 1991, according to actual government documents the United States has been consistently exporting large quantities of gold, on an annual basis. If you do the math one can easily determine that the vaults of Fort Know are nearly or totally empty. Hence there will be no audit. It would prove what an increasing number of investors already suspect. The gold is all gone. How can one reach this conclusion? Well if you calculate the total amount of gold that was available for use in the years from 1991 to 2011 in the United States you arrive at the figure of somewhere near 7,500 tons. Yet the United States actually consumed more then 7,600 tons. This would imply that the United States should be a net importer of gold. However, the reverse was true. The United States actually exported over 5,500 tons of gold. Where could all this gold come from? Well, if you look at the shortfall at the Federal Reserve one can easily notice the correspondence to what is missing there and what has been exported. To make good on gold that has been basically stolen from the depositors it will require a massive transfer of gold from the United States to to other countries. So either Fort Knox is already empty or it will soon be stripped of its gold reserves. What are the actual reserves of gold held by the United States? The best case at this point would be no more than 2000 tons and probably considerably less. Why continue this charade? The Federal Reserve Bank already knows that once the true figures for United States gold reserves become public, it will evaporate any trust that America has overseas. 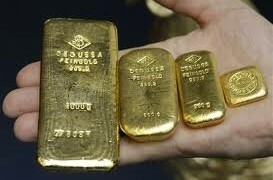 This image of the United States being the worlds largest holder of gold will be proven to be an outright lie. If one analyzes what is happening with China in gold markets, it is easy to determine that China is now the worlds largest holder of gold. The official rate reported at 1,054.1 tons was last made in 2009. Imports of hundreds of tons along with all the domestic production in the past few years, have made that figure no longer applicable. It is also important to note that China is the world’s largest producer of gold (400 tons annually), and none of it can be exported by law. Declining trust in American financial prowess already shaken will reach critical mass. The resulting wholesale abandonment of the United States Dollar will have far reaching consequences. It will create a financial crisis worse than 2008 not only in the United States, but world wide. This partly explains why foreign governments are not openly complaining about the theft of gold at the Federal Reserve Bank in New York. Once the world abandons the American Dollar as the reserve currency of the world, things will become dire in the United States. Credit markets will become frozen overnight. The dollar will plummet in value. Inflation will necessarily skyrocket, as the trillions of dollars held overseas come rushing back to the United States. Interest rates will rocket skyward in response. The resulting economic depression will lead to the bankruptcy of countless businesses and companies. 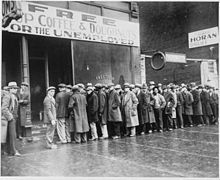 The unemployment rate in the United States will exceed rates last seen in the Great Depression of the 1930’s. A bankrupt government will be in no position to ease the suffering of the citizenry. The only asset remaining to the government will be public land and buildings. America would then be for sale, to the highest bidder. It is no wonder that the Federal Reserve and the United States government, will continue to lie about actual gold holdings of the United States. These officials will proceed with the illusion as long as possible. The bill for the waste and flagrancy of the United States is now coming due. The corrupt and foolish politicians of the United States over the past 60 years, have squandered the wealth and economic power of the largest economy in the world. For investors in commodities particularly precious metals like gold and silver, prices will increase to unbelievable rates. Gold alone will quickly double in price and then continue to move ever higher. Silver will increase at far greater rates, as it’s historical ratio of 1 to 16 to gold returns. The ratio at present is 1 to 58. One may easily see increases in the price of silver exceeding 1,000%. Those individuals who invested a substantial portion of their portfolios in precious metals will become fabulously wealthy, basically overnight. 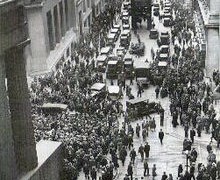 It is important to remember that many fortunes were made by a number of notable American families, during the height of the Great Depression in the 1930’s. Investors at the time who were willing to make the right decisions, were able to profit enormously from the economic dislocation and financial confusion of the time.